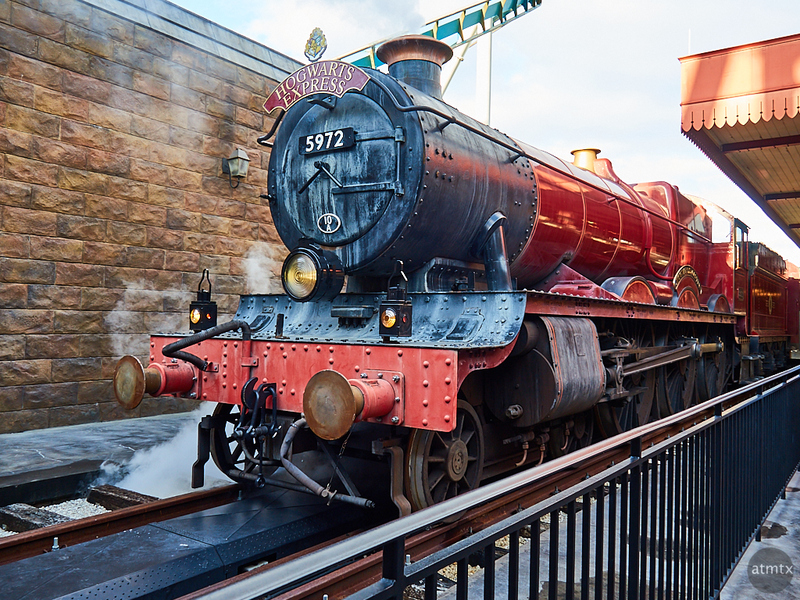 Hogwarts Express is an ingenious ride disguised as a train. It’s also a real train, though not truly steam-powered, that transports people between the two Universal Studios theme parks in Florida. It nicely ties together the two Harry Potter worlds at the two parks, Diagon Alley and Hogsmeade. The train, along with the two well done stations, are the most elaborate parts of the Universal Parks. You board the ride, like any other train, and sit in a compartment where LCDs imaginatively recreates a virtual world. Since it’s a real train, that moves, there is a level of tactile realism that makes it fun. What I couldn’t tell was how fast the train was moving or far it went. Shot with the Olympus OM-D E-M5 Mark II and the 14-150mm lens. I just want to know, do you have to run through that wall to board the train? Nope, there is an orderly boarding process, down further. Drat. I was hoping you had to run through that wall. Now THAT would be a photograph! Not unless you are the Incredible Hulk or the Cool Aid Man.